Hiedelberg is one of Germany’s most popularly visited cities. The city offers a beautiful blend of rich history, modern development and cultural diversity. The city lies on the banks of River Neckar and offers a beautiful and picturesque cityscape due to which the city is called ‘Romantic City’. The modern city and its architecture bear a mark of history right from the time of its origin to the Nazi aftermath. The churches and castles, the universities and museums take us right into the medieval times. The city is vibrant during the day and has in its offering a great nightlife too giving ample opportunities for dining, touring and revelry. Hiedelberg is well connected by all modes of transport. Its strategically located airport is well connected to all major cities. The autobahns are well connected to the city roads, and the intercity trains and High speed rails have phenomenal connectivity to rest of the neighbouring towns and the main cities of Germany and Europe. 1. Heidelberg CastleThis majestic castle is located over the roofs of the city and has stood over 5 centuries. Besides having a museum of collection of various objects of historical significance, its main attractions are the old wine barrel, the beautiful architecture and interiors, and the unique German pharmacy museum. 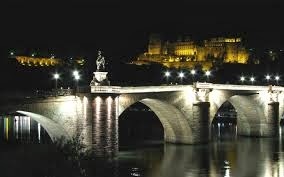 Besides offering a panoramic view of the cityscapes, the old bridge is a classical stone bridge that has stood over 200 years. The bridge has beautiful sculptures and statues one of Prince Elector, who built this bridge and of Goddess Minerva, the Roman goddess of Wisdom. 3. Heidelberg Funicular RailwayThe funicular runs from the lowest point via the Heidelberg castle to Molkenkur, which is a connecting point to the oldest funicular of Europe. It boasts of being the longest in Germany and of great cultural significance too. 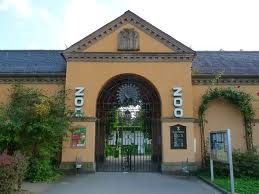 This is a large and spacious zoo that houses some of the rarest species of animals from all over the world. The highlights are the sea lion; turtles aged more than 100 years and Asian Bull elephants. Other places of historical significance include the old university, the university library, the Town Hall at the city centre. 5. Stift NeugerThis old style abbey is located amidst the picturesque and verdant surroundings of the town. Close to this church is the Klosterhof Neuberg, which is an agricultural farm that produces and sells fresh apple juice, kiwis and other farm products. 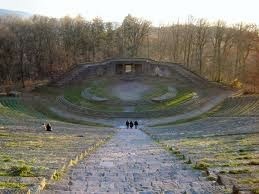 It is an old style amphitheatre that was built in the 1930’s with a seating capacity of over 20,000 and is located on the banks of River Neckar. Concerts and operas are held during the warmer days of the year. 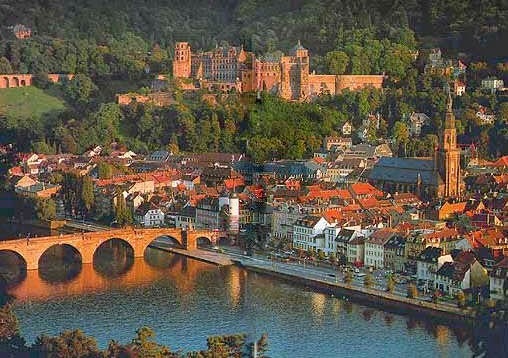 With so many historical monuments and places to have fun, Heidelberg serves as an amazing destination for holidays.